Facebook recently purchased Instagram for $1 billion which should be the proof businesses need that this photo sharing application is something worth the time and effort to create a presence on. Instagram is a photo sharing application that is catching on in big ways. Basically, it allows you to take pictures from your camera phone, edit them and post them. Considering 40% of the world’s top 100 brands pursue Instagram activity including giants like Starbucks and Victoria’s Secret. It only makes sense that other businesses jump on board in order to engage with their customers in brand new ways. The great part about Instagram is it takes no time at all to post engaging images. The trick is in knowing what to post and how to engage with your customers and potential customers in brand new ways that Instagram offers. Consistency is one of the most important things to put as a priority to truly excel at this social media outlet because the more you are seen by your followers, the more you instill brand loyalty. This doesn’t mean to post a hundred pictures every day, it means to post pictures that carry a consistent message that shows who your brand is and that does not mean constant product pictures. Instead it means posting pictures of employees at work, happy customers, special events and other interesting news about your business. Instagram is not the platform to advertise or market on, although you can create interesting events that will promote brand recognition by using hashtags and also asking your customers too, for example if your business it Toys For Pets, Customers would create a picture with a comment such as “Stopping in at #ToysforPets to shop for Fluffy”. Also, if you use hashtags and post questions for your customers and followers, you can get some great activity. For example, taking a picture of an employee or customer using your latest new product and asking “Have you tried the new #Product yet?” can get customers and followers to begin discussing your latest new products. 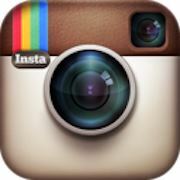 Instagram seems like a very simple application, just upload images and create compelling comments. This is why many businesses haven’t seemed to realize how potent this form of interaction can be with customers and in helping to increase brand awareness. Knowing that the top brands are utilizing this application must mean there is some value in getting involved though and you or your social media manager can go to www.instagram.com to get started creating an Instagram presence for your business.